Since you are reading this article, chances are you know that dietary fiber plays an important role in maintaining good health. It feeds the friendly bacteria in our gut, can reduce cholesterol levels and may help relieve constipation. Fiber is indigestible carbohydrate that is found in various foods, many of which are vegetables. It comes in two forms, soluble and insoluble. Below are the vegetables that contain the largest quantities of fiber. 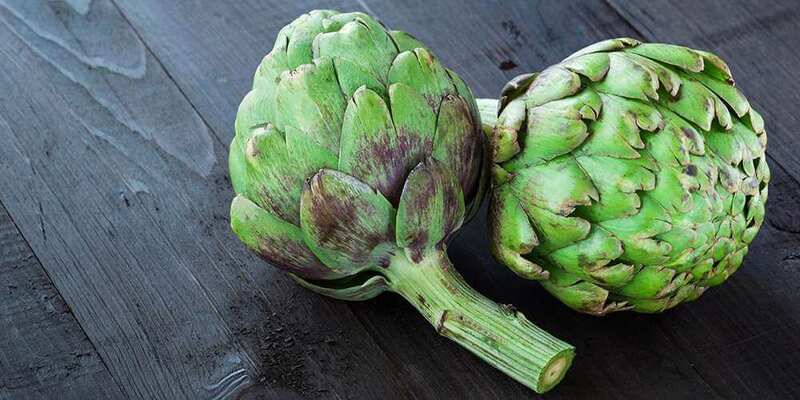 Crunchy plant based food are high in fiber, and artichokes are one of them. A medium sized cooked artichoke has 10 g of fiber, which is a significant amount. Artichokes are also a source of other beneficial compounds; one study found that they contain large amounts of antioxidants, rivalling superfoods like blueberries and dark chocolate. There are plenty of delicious ways to enjoy artichokes. One way is to roast them in the oven and then incorporate them into salads and baked dishes. Another crunchy vegetable, parsnips are cream coloured root vegetables that are closely related to carrots. They are typically eaten cooked, but can also be eaten raw. Either way, they provide you with large amounts of fiber. Parsnips are nutrient dense vegetables, containing decent amounts of vitamins and minerals. Some of these nutrients include potassium, magnesium, manganese and folate. Also known as yam bean, this is a vegetable you may not have come across. It is a root vegetable that is grown in semitropical and tropical climates but is becoming increasingly popular worldwide. The inedible brown coloured skin of the vegetable is discarded to get to the starchy & fibrous white coloured inner flesh. Jicama contains a type of indigestible fiber known as inulin, which improves gut and heart health, curbs appetite and assists with calcium absorption. Jicama is also a good source of vitamin C, with a cup providing you with approximately 40% of your daily requirement. If you take a look at the nutritional profile of this leafy green vegetable, you will be amazed. One cup of cooked collard greens only has 49 calories, but for that it provides you with more than 1000% of your daily requirement of vitamin K and 300% of your requirement of vitamin A.
Collard greens are also the best vegetable source of calcium, making them an ideal choice for individuals who can’t or choose not to consume dairy. If there is one vegetable you should include more of in your diet, its definitely this one. Brussels sprouts are a member of the brassica family and are well-known for being a staple of Christmas and Thanksgiving dinner. They are a cruciferous vegetable, similar to broccoli and cabbage. Their crunchy texture tells you straight away that these small vegetables contain a lot of fiber, with each sprout containing around half a gram. There’s lots of Brussels sprouts recipes for you to enjoy. Another food that you may not have heard of, kohlrabi is a biennial vegetable that can be eaten raw or cooked. 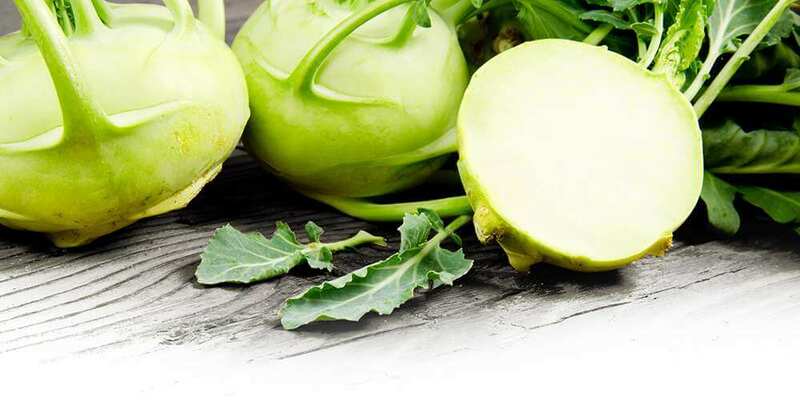 Though many people are not familiar with it, kohlrabi is becoming increasingly popular and can be found at farmers’ markets and grocery stores. Kohlrabi is rich in vitamin C, providing you with all of your daily requirement in a one cup serving. Some of the benefits associated with kohlrabi are its ability to fight cancer and improve heart health. Kale has often been considered to be one of the healthiest foods on the planet, primarily because it is a powerhouse of nutrition. Like collard greens, it too is an excellent source of vitamins A and K, whilst also providing smaller amounts of almost every common vitamin and mineral you can think of. 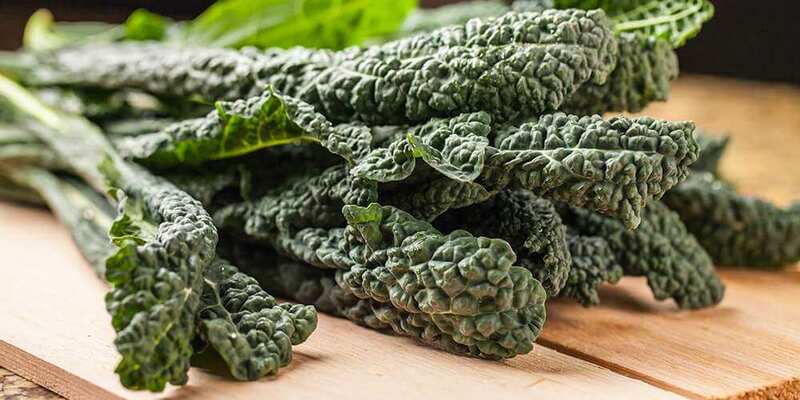 Kale is also loaded with the antioxidants quercetin and kaempferol, both of which have numerous health benefits, including their ability to reduce inflammation and oxidative damage by free radicals. If you have a garden, chances are high that dandelion greens are growing in it. They are considered to be a weed and are a large burden for gardeners, despite having bright yellow flowers that are pleasant to look at. What is less commonly known however is that these weeds are in fact edible and very nutritious, being a great source of vitamins A, C and K, not to mention fiber. So the next time you are thinking of discarding them away, think again. Also known as ladies’ fingers or gumbo, okra is a vegetable commonly found in Indian, African and Caribbean cuisine. It has a distinct slimy texture and can be prepared in many different ways, including roasting and stir frying. Some studies have looked into the benefits that okra has. This study found that okra may have anti-diabetic properties and this one showed that it can benefit digestive health. Another leafy green vegetable, mustard greens provide you with 3 g of fiber per cooked cup. That same cup also has 3 g of protein, making mustard greens a good choice for vegans and vegetarians who want to increase their protein intake. Because mustard greens are so low in calories (21 per cup), they are an excellent food to eat when trying to lose weight. You can steam, boil or stir-fry them, which allows you to incorporate them into lots of recipes. Fennel is related to vegetables such as parsnips and celery. It is recognised by its white bulb, green stalks and green leaves, all of which are edible. It is unique tasting and has a anise-like flavor. Like with most vegetables, fennel can be included in all sorts of recipes. This includes pasta dishes, sandwiches, salads and soups. You can find some of these recipes here. Endive is a leaf vegetable that belongs to the chicory genus, which places it alongside foods such as radicchio, sugarloaf and the Belgian endive. It looks like Romaine lettuce but tastes somewhat different. Endive is made up of more than 90% water, making it one of the least calorie dense foods there is; a cup of raw endive only has 8 calories, so in essence, eating it is like drinking water that has been infused with nutrients. Another highly praised food, the sweet potato is one of the best plant based sources of vitamin A that there is; a cup has 4 times your daily requirement. Vitamin A is needed for the health of your eyes, skin and hair. The skin of sweet potatoes is rich in fiber, so it is a good idea not to throw it away. One way of retaining the skin is by preparing baked sweet potatoes in the oven. This makes the skin crispy, edible and delicious. The vitamin A found in plants is in the form of beta-carotene, a carotenoid that is then converted to vitamin A in the body. Carrots are packed full of beta-carotene, which gives them powerful antioxidant and health properties. The common way of enjoying carrots is to chop them up and throw them into a salad or soup. But you can also use them as an ingredient in smoothies and a variety of healthy desserts. There is no doubt that beets are very healthy vegetables. You just have to be a bit careful when handling them, because if you don’t they’ll stain everything that they come into contact with! Besides being a good source of fiber, they also contain folate, potassium & manganese and have been shown to help lower blood pressure, boost stamina, detox the body and fight inflammation & cancer. Green beans are a tasty, nutritious & widely available vegetable. Sold fresh, canned and frozen, and a great addition to a range of dishes from roasts to lasagana, these beans can be stir-fried, steamed or baked. 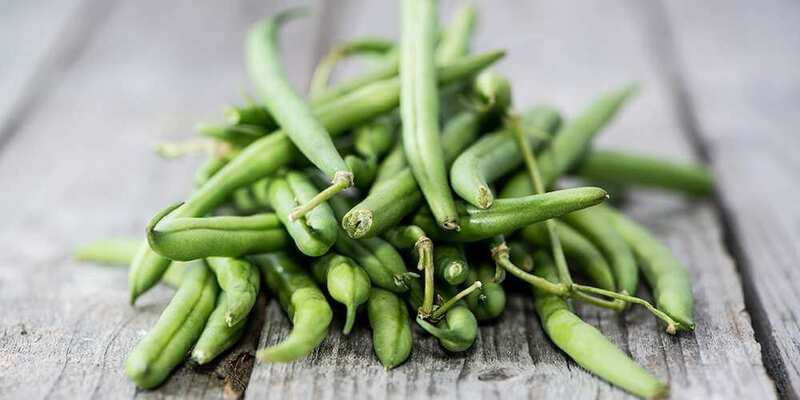 Even though they are firm to the touch, raw green beans are made up almost entirely of water. As is the case with most vegetables, this makes them an excellent weight loss food. Broccoli rabe, also known as rapini, plays a big part in French, Italian and Portuguese cuisine. 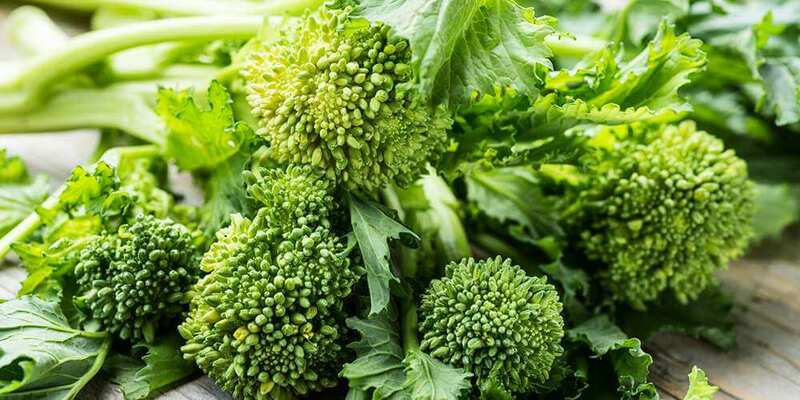 Similar to broccoli, it is chock-full of beneficial vitamins and minerals. The consumption of rapini has been linked with the prevention of stroke and a reduced risk of colon cancer. Commonly referred to as the spring onion, this green and white coloured vegetable has a crunchy and chewy texture, providing a hint that it contains a fair amount of fiber. Spring onions are delicious when eaten raw, either on their own or as part of a salad. They also form an excellent base ingredient for stir fries. When people think about foods that are associated with good health, chances are that most people think about broccoli. This tree shaped vegetable is highly nutritious and packs quite a bit of fiber. Eating broccoli can be beneficial in a number of ways; it fights cancer, maintains strong bones, improves digestive health and keeps your skin looking healthy. Potatoes are definitely one of the most commonly consumed vegetables. Despite their controversial nature, they are very nutritious and also score highest on the satiety index, meaning they satisfy the appetite well. Like sweet potatoes, a lot of the fiber is found in the skin, so it is a good idea to retain it. To reap the benefits that potatoes have to offer, you want to prepare them in a healthy way, such as steaming or boiling them, instead of deep frying. There’s a wide variety of mushrooms available, including portobello, crimini, enoki and oyster. They all have fairly similar nutritional profiles, providing roughly 2 to 3 g of fiber per cooked cup. Mushrooms are a dietary source of vitamin D, and studies have found eating them may improve immunity. They are a great replacement for meat, if you are thinking of reducing your intake.